First impression is everything. Foyer or entryway is the first place experience by you when you enter in the house. So it's must be cheery, cool and more functional. Every Apartment have foyer section it's doesn't matter how small or large is it. Foyer work as bridge in interior of the house to exterior. Its a entryway from entry door to living room or hall. Foyer decor is not only effect on entire home interior look but also effects on your mood. So at the time of foyer design check that foyer interior is good to create happy, energetic and healthy environment or not. 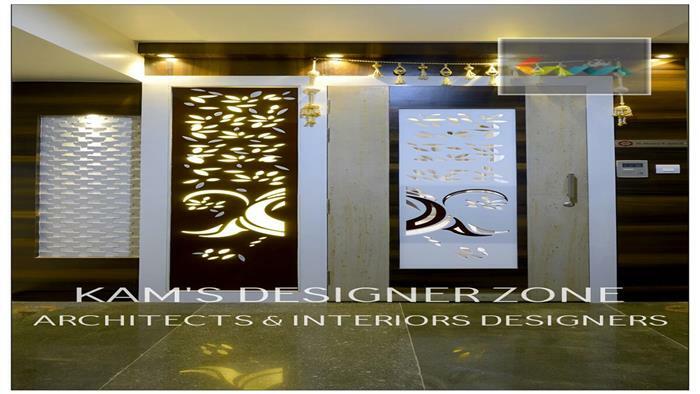 Here is list of some foyer design ideas given by expert Interior Designer in Baner, Pune to design your foyer in cool and luxurious way to do grand welcome of your family members, friends, guest and mostly your ownself. Lighting : Proper Lighting set the energetic and inviting environment as you come home after whole workflow day. You can use chandeliers, suspensions, pendant lighting, wall scones, table lamps and other decorative home accents to decor foyer. Wall Paint and Wall Art : Wall color and wallpaper use is important to give colorful and eye catchy look to space. Wallpaper requires high labors cost than wall coloring, but its give modern look to foyer. Perfect color combination also look beautiful and attractive. Use handmade craft, photo frame, art pieces, sketches and mirrors to do wall decoration. Foyer Furniture Decor : Every foyer have some area were you put your daily use things like keys which you pick up or drop when you enter or exit from home. You can use the table, shelf, benches or baskets to put those things. Its look more functional and properly set.